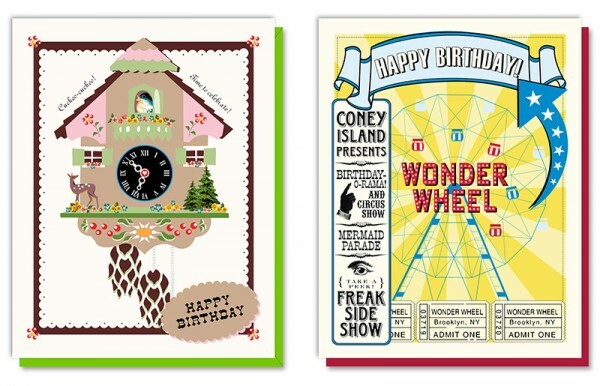 Send the sweetest of birthday wishes to loved ones with brilliant vintage style birthday cards from Driscoll Design. Driscoll Design is home to two distinct, gorgeous collections of cards. A stunning watercolour collection of cards, adorned with flowers and animals. 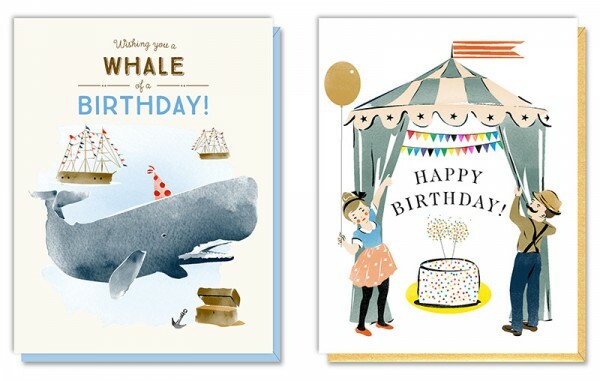 Worthy of framing, such illustrations washed with colour – including Whale of a Birthday and Surprise Birthday (pictured above) are nothing short of divine. And the second collection is brimming with fun vintage style prints packed with bold colour. 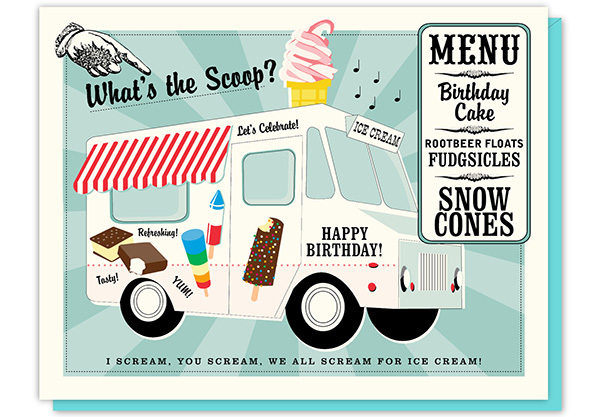 The Ice Cream Truck card (below) is my favourite, but the Coney Island-esque Wonder Wheel card and Cuckoo Clock come equal second place in my card race. Brimming with happy and nostalgic designs, all Driscoll Design birthday cards include a little sprinkle of sparkle in their illustration. Priced US$5 each, you can order direct from Driscoll Design.